At Last! 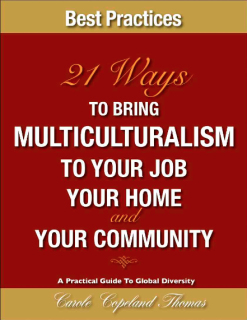 The Guidebook That Explains Black Culture! 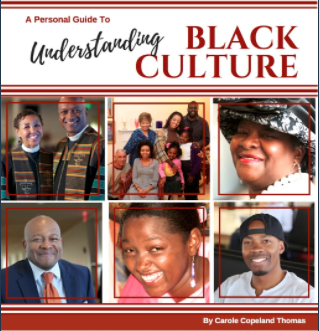 A guidebook to help business leaders, salespersons, civic leaders, and educators navigate the complexities and cultural dynamics within the black community. A quick but powerful read! Each section is well researched with books, articles, and websites. 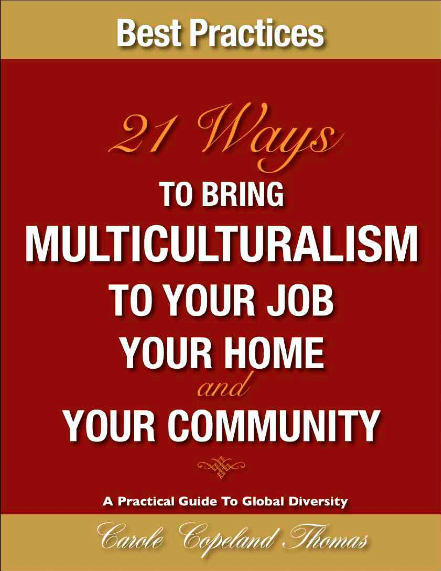 At Last...An indispensable guide for those with a working knowledge of diversity who want new resources and information to craft an advocacy campaign of their own. With over 30 years of experience as a speaker, trainer, and global thought leader, Carole Copeland Thomas shares her years of experience with those who are serious about practicing diversity throughout the world. The Face of Business has Changed Dramatically. 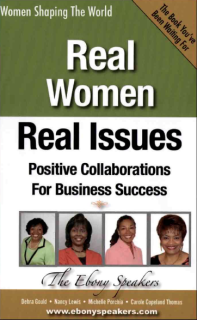 Real Women, Real Issues: Positive Collaborations for Business Success is a unique collaboration between four dynamic women coming together from many years of varied career paths and their unique mastermind group experience. Out of that experience came the concept of communicating with other women on the importance of maintaining quality personal, professional and business relationships with other people who promote positive living. Now there's a book that actually teaches you to journal in less than 20 minutes each day! My Personal Journal is step by step instructional guide to daily journal writing, including 60 pre-designed forms to begin the process. 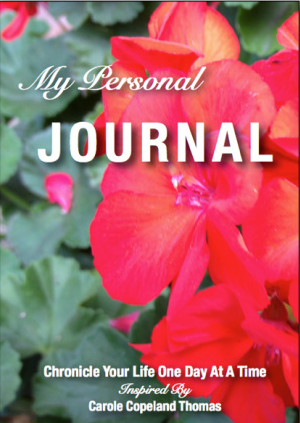 Based on the 45 volumes of journals Carole has written since the death of her teenage son in 1997, this book is designed to help you develop a solid routine of empowering your life through regular entries of your life's journey.